The book charts how astrophysicists and military generals have sought similar discoveries and technological developments, whether in concert or in pursuit of separate objectives. In his book, Tyson, who is the director of the Hayden Planetarium in New York City, traces as far back as 200 B.C., when Greek historian Polybius advised commanders to observe astronomical events like lunar eclipses and use them to their benefit when planning. During the Revolutionary War, General George Washington monitored British troop movements with his spyglass, a telescope the future president praised in correspondence, according to Tyson. The early 20th century ushered in radio wave technology used by astrophysicists to observe celestial bodies hidden to the human eye, as well as military commanders seeking out the unseen enemy via radar. The ongoing effort to elude the opposition led to the U.S. Air Force’s 1983 debut of the F-117A stealth fighter – an aircraft “almost invisible to radio waves,” as Tyson points out, due to the faceted angles of the aircraft’s surface. The book’s subject matter mirrors plans laid out by the Trump administration to create a Space Force branch of the U.S. military that would be tasked with leading “the use of space assets in warfighting” and accelerating “integration of space capabilities into other warfighting forces,” according to a Department of Defense report released Aug. 9. 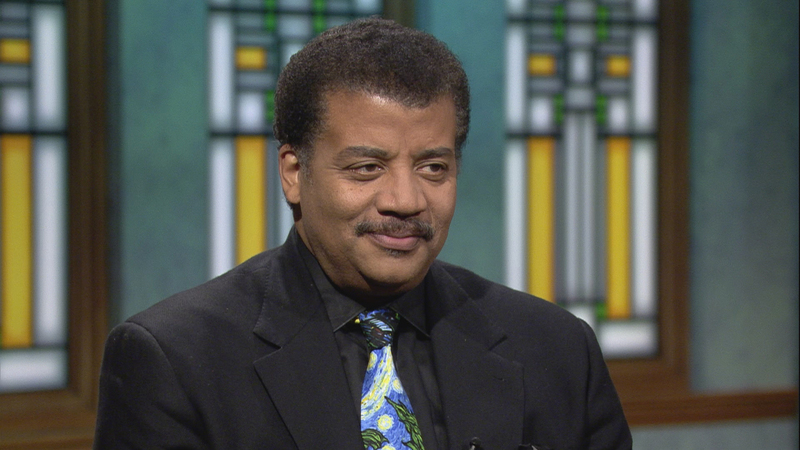 Tyson said he proposed the idea of a Space Force in 2001, when President George W. Bush appointed the astrophysicist to a commission on the future of the aerospace industry in relation to national security and the global economy. “I just thought it would clean the allocations of monies for the needs that are unique to handling, dealing with and being concerned with threats from space,” Tyson said. The idea of space as a battlefield isn’t as far-fetched as some may think – he points out U.S. military satellites were instrumental in reconnaissance during the Cold War. In matters of battle, the role of science and technology often proves decisive, providing an asymmetric advantage whenever one side exploits this knowledge while the other side does not. The biologist, when enlisted for the war effort, may consider weaponizing bacteria and viruses; a rotting animal carcass catapulted over a castle wall during a siege may have been one of the first acts of biowarfare. The chemist, too, contributes—from the poisoned water-wells of antiquity, to mustard and chlorine gas during World War I, to defoliants and incendiary bombs in Vietnam and nerve agents in more contemporary conflicts. The physicist at war is an expert in matter, motion, and energy, and has one simple task: to take energy from here and put it over there. The strongest expressions of this role have been the atomic bombs of World War II and the more decisively deadly hydrogen fusion bombs that followed during the Cold War. Lastly, we have the engineer, who makes all things possible—enabling science to facilitate warfare. The astrophysicist, however, does not make the missiles or the bombs. Astrophysicists make no weapons at all. Instead, we and the military happen to care about many of the same things: multi-spectral detection, ranging, tracking, imaging, high ground, nuclear fusion, access to space. The overlap is strong, and the knowledge flows in both directions. Astrophysicists as a community, like most academics, are overwhelmingly liberal and antiwar, yet we are curiously complicit in this alliance. Accessory to War: The Unspoken Alliance Between Astrophysics and the Military explores this relationship from the earliest times of celestial navigation in the service of conquest and hegemony to the latest exploitations of satellite-enabled warfare. The idea for this book germinated in the early 2000s during my tour of duty serving on President George W. Bush’s twelve-member Commission on the Future of the United States Aerospace Industry. That exposure to members of Congress, Air Force generals, captains of industry, and political advisors from both sides of the aisle was a baptism on the inner workings of science, technology, and power within the US government. My experiences led me to imagine what such encounters might have been like over the centuries in whatever country happened to be leading the world in cosmic discovery and in war. Co-author Avis Lang is my longtime editor, from my days of contributing monthly essays to Natural History magazine. An art historian by training, Avis is a consummate researcher and an avid writer, with a deep interest in the universe. This book is a collaboration, a fusion of our talents. We each compensate for the weaknesses of the other. But the book got done because of Avis’s sustained commitment to examining the role of science in society, as expressed in the printed word. The reader will notice that in certain passages, such as here, first-person singular pronouns appear, primarily when I tell personal stories. But in no way does the occasional “I” or “my” deny Avis’s co-authorship of every page in this book.